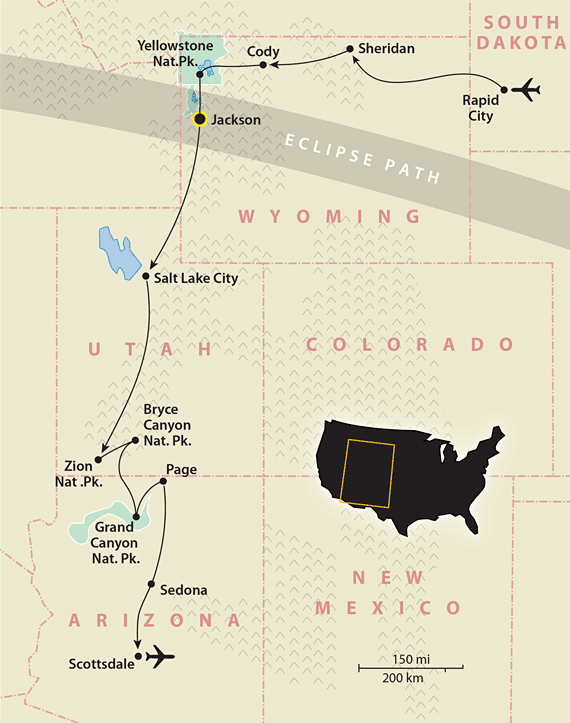 The American West, fabled for its wide-open spaces and incredibly varied landscapes, is home to many of the original gems of the national parks system. Today these vast protected areas continue to inspire visitors with spectacular vistas, remarkable wildlife encounters and authentic wilderness adventures that rival those of any region on the planet. 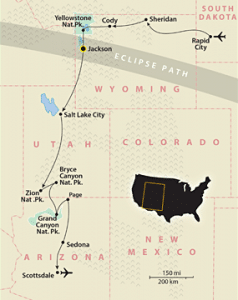 So where better to experience the first total solar eclipse viewable from the continental U.S. in nearly four decades?